The Academic Master's Program in Sustainable Tropical Agriculture seeks to respond to trends in higher education and the challenges and opportunities of the international, regional and country context. The program is based on processes of continuous improvement and educational quality, trends in higher education and market needs, societies and employers. The Zamorano master's program will help generate scientific information that contributes to the development of alternatives for streamlined food security in Honduras and the region. 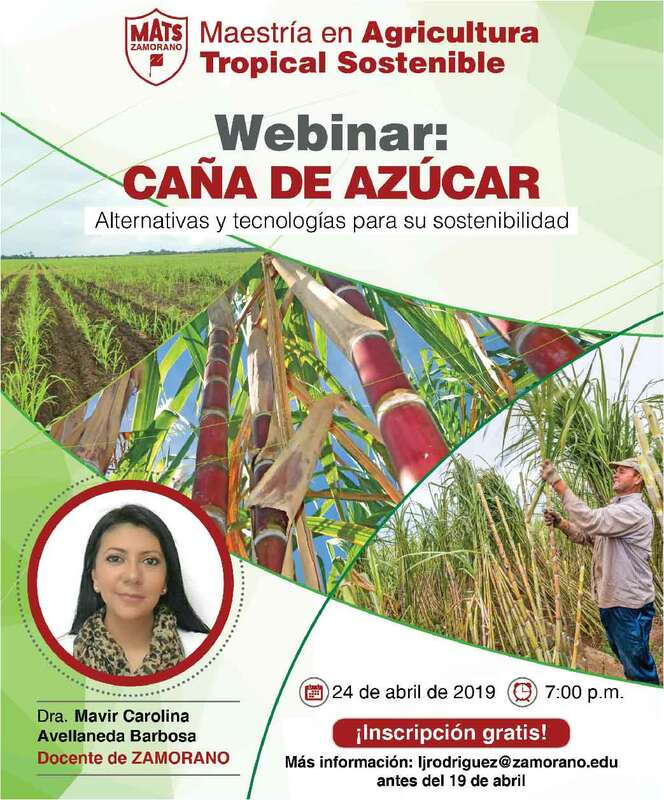 In addition, the Program will provide alternatives to support the rational use of resources in agricultural production, food security and the mitigation of adverse impacts from environmental conditions. The teaching methodologies and institutional pillars at Zamorano are fundamental to the Master’s in Sustainable Tropical Agriculture; these include: Academic Excellence, Learning by doing, Panamericanism and Training in values and character, in addition to the cross-cutting pillar of applied research that has characterized the Panamerican Agricultural School, which is also known as Zamorano University. At the university, renowned national and international scientists and students from different areas work jointly to generate information on a wide range of subjects in order to make a contribution to the socioeconomic and social development of their different countries. 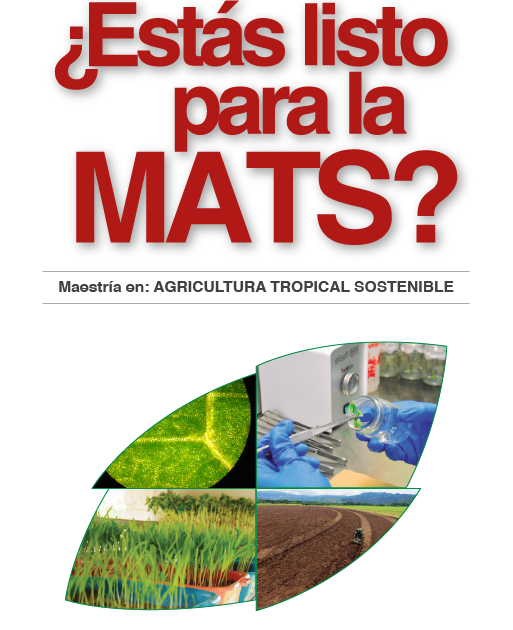 Mission: The Master’s degree in Sustainable Tropical Agriculture trains professionals with a high level of technical-scientific competences through a rigorous program based on academic excellence, research, innovation and agricultural linkages in order to contribute to sustainable development. Vision: The Master’s program in Sustainable Tropical Agriculture will be a leading and innovative program in the training of streamlined professionals, preparing them to be agents of change in the generation and promotion of sustainable agricultural development. Train professionals in the area of Sustainable Tropical Agriculture with competencies that ensure the adequate use, management and creation of sustainable production techniques and methods in order to carry out activities that contribute to agricultural sustainability and the integral development of the country and the Latin American region. Develop and reaffirm the competences that enable the graduate to become a strategist and agent of change, carrying out a decision-making process aimed at promoting the comparative and competitive advantages of the environmental and socioeconomic environment in which he/she operates. Provide the conceptual, scientific and technological elements that must govern the processes of management and development of agricultural production systems in the framework of appropriate use of renewable natural resources and food sustainability. Provide instruments that allow conceptualizing, designing and implementing plans, programs and projects at a sector and business level to develop agricultural, forestry and food production activities in the framework of appropriate natural resource use. Provide an opportunity to apply the scientific method which will lead to objective and opportune decision making. The Academic Master's Program in Sustainable Tropical Agriculture is distributed into six academic periods with a duration of two years and includes twenty-three (23) subjects, representing a total of fifty-five (55) credits. Complete and submit the admission application online. Recognized or apostilled undergraduate degree in agricultural sciences or related fields. Pass the entrance exam established by the Panamerican Agricultural School, Zamorano University. Original copy of undergraduate grades confirming an average greater or equal to 80%. Updated copy of Curriculum Vitae. Two 5x5 cm photos of the applicant. Copy of identification document or passport. Minimum score of 60 points on the TOEFL iBT®. Candidates who have completed the requirements of stage 1 will be interviewed by the Graduate Admissions Committee; the interview will be conducted face-to-face or online. Confirm by mail the suitability of the applicant to take the tests (admission and psychometric) and of the data to make the payment of such tests. To apply for the Zamorano master's program, it is required that applicants submit an entrance exam; the exam promoted by the institution is the Graduate Aptitude Test (GAT) (Dates and places for exam application will be communicated on a later date). However, the institution also accepts the Graduate Management Admission Test (GMAT) or the Graduate Record Examinations (GRE). If the applicant chooses a test different from the GAT, these must be taken by the applicant and the results must be presented to our institution, pursuant to the validity of the tests. To apply to the Zamorano master's program, the applicant must also submit a test that demonstrates his/her mastery of the English language: TOEFL, TOEIC, IELTS or Duolingo. It is the responsibility of the applicant to take these tests in their countries. The results of the tests will be accepted pursuant to their validity.